impurities. After going through this part, most of the impurities are moved from peanut. 2. Crushing: materials are devided into small pieces. 3. Flakinig: then materials are made into thin flakes which are easy to get more oil. 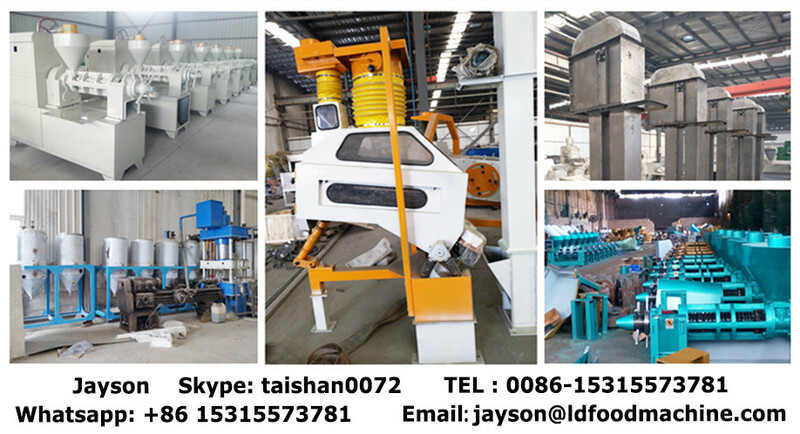 Main spare parts: worm, squeezing head, worm shaft, cage bar, heater ring, cake outlet, LD filter. 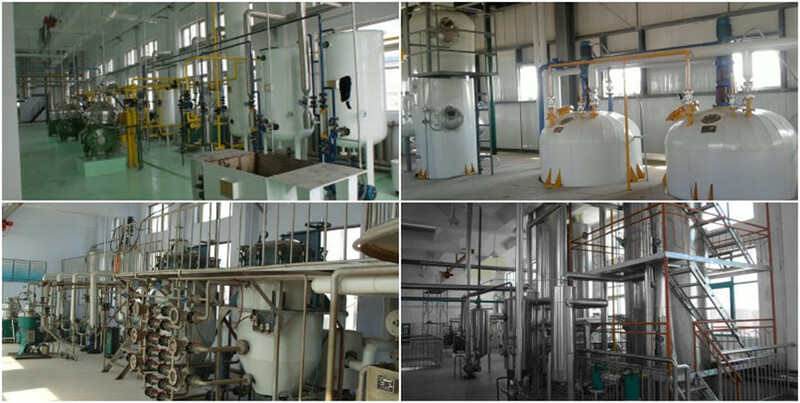 You can choose to use big oil presser then go to solvent extraction workshop to extract oil. concentration gradient between several spimages. reliable operation and less maintenance cost. You can choose to refine crude oil. 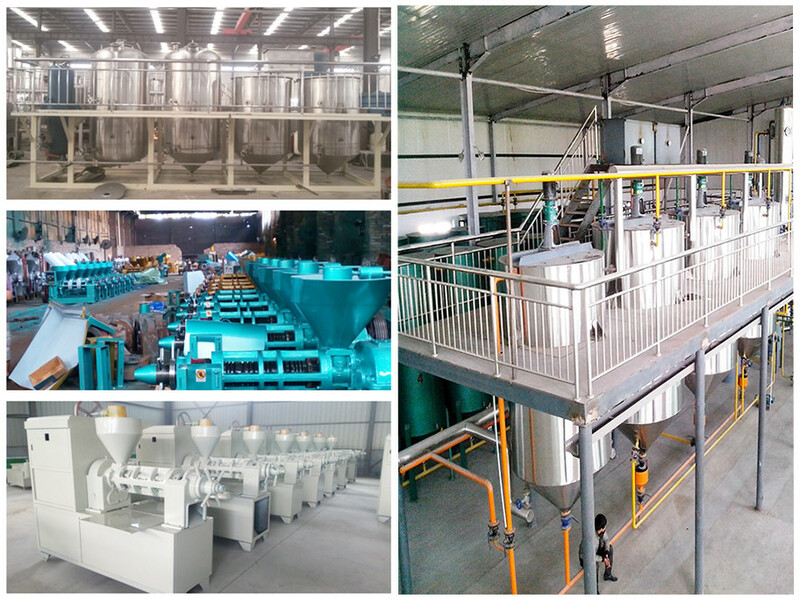 What kind of palm oil refinery plant we can supply ? 1. Batch type palm oil refinery plant: 1-30tons per 24hrs. 2. Semi-continuous type crude oil refinery: 20-50tons per 24hrs. 3. Continuous type crude oil refinery: 30-600tons per 24hrs. What kind of crude vegetable oil can be refine? sesame oil, conttonseeds oil etc.